I wanted to take some time to talk about the greatest year of my life so far, but I couldn’t find a way to do it without being sappy. So, since I love music and since this year gave us some phenomenal music, why not write about my year through the soundtrack to it? After writing this out, it seems I said more about the music than myself; I think it’s fitting though, since this music says more about me than I ever could. Here are my 14 favorite albums of 2013. Yes, it would make more sense to choose 13 albums for the year 2013; but I refuse to let you box me in like that, world! Honorable Mentions: J. Cole’s Born Sinner, Atoms for Peace’s AMOK, A$AP Rocky’s Long.Live.A$AP., HAIM’s Days Are Gone, Tegan & Sara’s Heartthrob, The Great Gatsby Soundtrack. 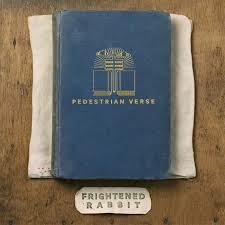 This was the first album of the year to catch my attention. The album starts out with “Acts of Man,” a sad song about how terrible humans are to one another when it comes to love: “Let’s promise every girl we marry we’ll always love them when we probably won’t.” It’s a sad sentiment, but by the end of the song he admits to his girl that he is just as bad as other men, “sorry, selfish, trying to improve.” It’s the beginning of an album full of blunt, honest confessions about what it means to be human. When the end of the album comes, you feel like being a little more honest with yourself and others too. “There’s still hope so I think we’ll be fine,” the singer offers, “in these disastrous times.” It was a great start to a year of self-improvement and honest admissions in difficult situations. This was not a year of romantic love for me, but that’s okay: I got to live vicariously through John Legend’s swooning love album. I never thought I would like one of his albums as much as I did 2004’s Get Lifted, but this one had me (and my students) crooning along often. When the title was announced awhile back, I thought Legend might describe what love will like in future times; instead, he describes love the way it should look right now. “I wanna get caught up in your love tonight/you can help me just breathe.” It’s these simple ideas that make Legend’s album a hopeful look into true love. I have always enjoyed Drake’s music, but everyone knows I have beef with him. I used to hate how he would brag about being the best rapper just before admitting how self-conscious he is. It made both ideas of Drake, the boastful and the heartbroken, ring hollow for me. But with Nothing Was the Same, I got over it. He’s doing exactly what I, and most of us, do; we all pretend to be more confident than we are to help us through times of extreme vulnerability.This album is a perfect example of how things change and people grow apart. 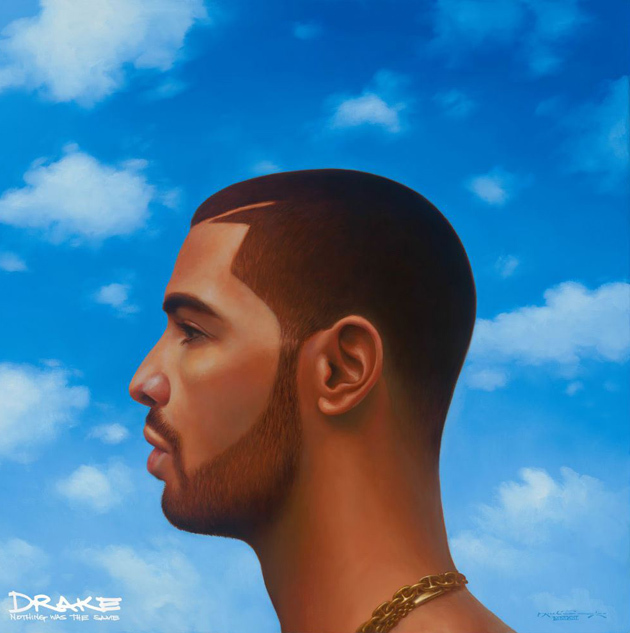 On “Connect,” Drake makes this confession: “She used to say, ‘You can be whoever you want, even yourself’/I show up knowing exactly who I was and always leave as someone else.” In my first year of post-grad life, as I moved to Dallas, lost good friends, made new ones, and searched for myself, this was an album I needed along for the ride to figure just who exactly I am. Let’s Be Still is music for the soul. While it may not have the same amount of songs that burrow into your mind like their self-title debut, Let’s Be Still explores the changing of seasons in powerful ways. On the title track, the singers ask you how necessary it is to keep up with the modern world: “The world’s just spinning a little too fast/If we don’t slow down soon, we might not last/So just for a moment, let’s be still.” I’m in a time of my life where everything seems to be swirling around me and I’m just trying to catch my breath. When I put this album on, the band gives me no choice but to sit and listen for a spell. And I’m not going to argue. When Donald Glover said that people who loved Camp would hate his new album, I trusted the guy and stopped looking forward to Because the Internet. But now I’ll never believe the guy again. No one was better able to capture the feeling of being a young adult in 2013 than Gambino. “House full of homies/so why I feel so the opposite?” he asks. In the Internet Age, where we are all over-connected but feel more isolated than ever, Gambino brilliantly expresses these feelings lyrically and even musically.Much of the music seems disconnected from the moment, as some songs trudge along with computer-made beats filled with solitude while others find Childish seeming to change his mind about whether he wants to rap or sing midway through.He invites you to a party at one point, then realizes he didn’t invite all of these other people, and tells everyone to get out. Well, the album is no party, but you’re invited to the isolation afterward; on the last track when he says, “because the internet, mistakes are forever/but if we —- up on this journey, at least we’re together,” it’s a party we’re all familiar with these days. I’ve been a fan of Pusha T since he proved himself to be the best guest on Kanye’s 2010 magnum opus My Beautiful Dark Twisted Fantasy. I followed what felt like hundreds of guest features where he constantly showed up the other emcees and I not-so-patiently waited for this album. Right before it dropped, I feared I had overhyped it with the three-year wait, but then my fears were put to rest. From the opener, “King Push,” where Push boasts that, “I made a lane ’cause they blocked ours,” to the absolute jam “Numbers on the Boards,” where he talks about his “36 years of doing dirt like it’s Earth Day,” this album just makes me feel cool by proxy. Pusha thinks highly of himself, and you can’t help but feel the same about yourself while rapping along at embarrassing volumes in the car. Of course, it’s the serious moments where MNIMN really shines. On “40 Acres,” after reflecting on his family and how his mother left his father after 35 years of marriage, Pusha comforts her with these words: “You should never question if you ever stood a chance with him/Only question is: did you enjoy the dance with him?”What’s cooler than telling your mother you love her after bragging about your drug-dealing days? With the way I freaked out about this album, most people would think this would be my #1 of the year. Not quite, but that’s no insult to Beyonce; there was just a lot of good music this year. I have long been obsessed with the Queen Bey for the fact that she seems perfect in every way. 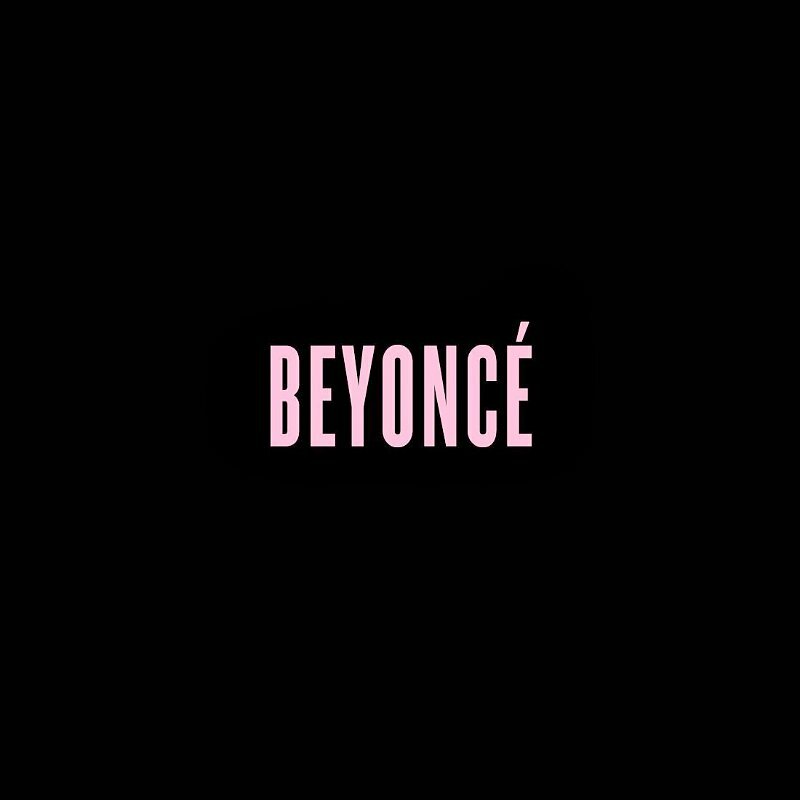 Not only did she have the coolest way of dropping an album (and ruining every other pop star’s year), Beyonce made the defining album of her career. With blunt honesty about her, uh, intimate moments with Jay Z, and her shunning of radio-friendly tunes to adopt the guise of Yoncé, an even cooler persona than Sasha Fierce, the Queen Bey made an album that surprises in ways I only thought possible from Kanye. It’s not just a feminist album; it’s an album for all of humanity to feel good about yourself. I woke up like this! In a year of albums about what it means to be growing up right now in 2013, Vampire Weekend pretty much put it the best. “Age is an honor; it’s still not the truth/Wisdom’s a gift but you’d trade it for youth,” singer Ezra Koenig pontificates. The album is rife with thoughts like this, thinking about how we choose to grow up–if at all–and whether there is anyone out there who might save a little grace for us. At one point Koenig questions how God could choose to be so mysterious in his cheeky way (“through the fire and through the flame, you won’t even say your name/only ‘I am what I am’/but who could ever live that way?”)–almost as if to really ask the listener whether we ourselves could benefit from a little mystery in the age of the over-share. It’s been said a thousand times over, so I won’t harp on how joyous Arcade Fire’s new album sounds. What I loved about this album is the influence the hundred(ish)-piece band took from a Kierkegaard essay, “The Present Age,” which basically states that we live in a time where people would rather reflect on doing great things than actually doing them. Amidst all of this sitting around, Arcade Fire looks to music as our possible redemption (taking from another influence, that of the myth of Orpheus and Eurydice) but the ultimate ending, though beautifully crafted, seems to find the two lovers separated by the inevitability of death.But this sad conclusion seemed the only possible way to go when Butler questions halfway through the first song: “We’re still connected/but are we even friends?” It’s yet another moral tale for our times about searching for something more in our isolated world. Amidst all that joyous noise is a lesson to be learned: Are we doing anything real or are we just reflektions? People didn’t seem to care for Magna Carta, but I think it was one of the best things Hov has ever done. If he had cut two or three songs, I feel like it would have received a much better rap. But who cares what you people think! The concept of the blackout art alone (Basquiat once said that he blacks words out not so that you’ll pay less attention but so you’ll pay even more attention; Jay Z said America is the same way, trying to black out the plight of African-Americans) makes the album worth a look and listen. 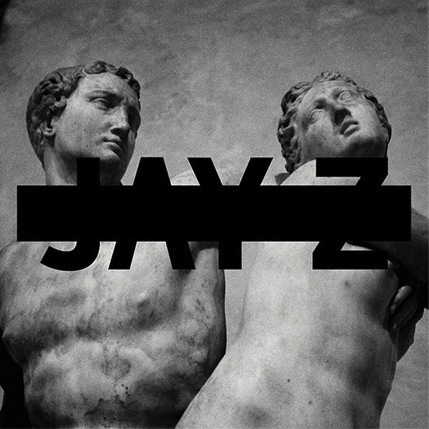 Tracks like “Picasso Baby,” “Tom Ford,” and “****withmeyouknowigotit” are instant Jay classics, but it’s deep cuts like “Oceans” that made the album. On the Frank Ocean-assisted track, Jay and Ocean contemplate what it means to “make it” in America as a black man. “I hope my black skin don’t dirt this white tuxedo,” Ocean concedes. Elsewhere Jay Z talks about how his success gives many ignorant Americans the excuse to think that him “coming from under the thumb of this regime” is an “everyday thing” for African-Americans. At this time in my life, when I am learning about and trying to fight the social inequalities of our nation, Jay Z’s words cut deep and keep my eyes open to the injustices we have yet to overcome. This gal. If you had asked anyone which female artist would release the best pop album this year, Lorde would not have been anyone’s answer because we didn’t even know who she was. But now, the results are in. 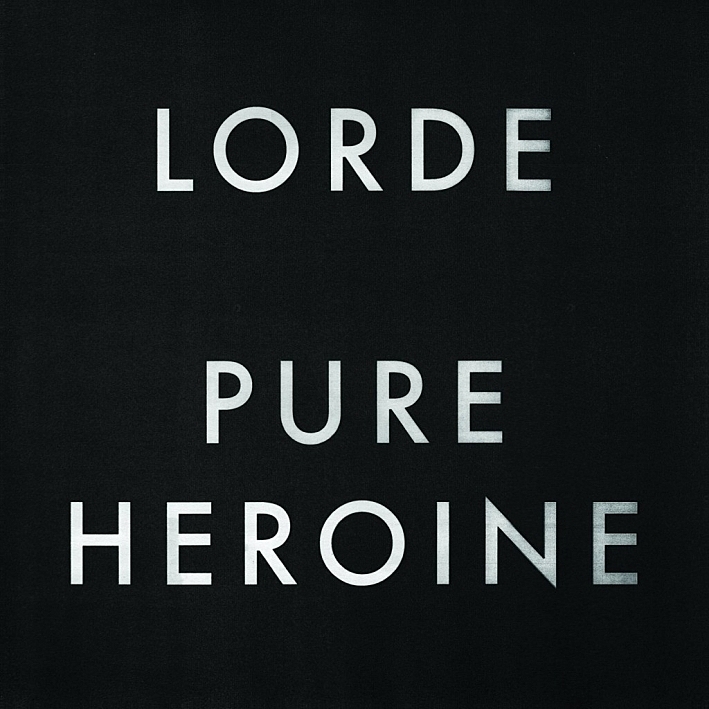 Though Beyonce came through and took over the end of the year, Lorde had our ears for most of it. This album dances the lines between pop, hip-hop, and indie. But the real greatness of this album comes from the 16-now-17 year old’s incredibly mature outlook on the world: “We live in cities you’ll never see on screen,” she recognizes. The “Royals” singer took no prisoners in dismissing the culture of materialism we have all become new slaves to (as Kanye put it in less radio-friendly terms). While she wrestles with the mainstream (my personal favorite is when she says, “I’m kind of over being told to throw my hands up in the air”) she also deals with growing up and growing old: “I know we’re not everlasting/we are train wrecks waiting to happen/one day the blood won’t flow so gladly/one day we’ll all get still.” It’s a deep thought for a girl who was only 16 when she wrote it, but it’s an honest look at mortality that most of our “we’re gonna live forever” youth culture never bothers to think about. 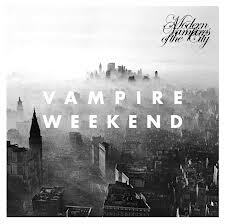 I have no shame in saying that this album was one of my most played of 2013. It was the feel-good album of the year. I disliked a lot of Part 2, but Part 1 had me doing my pseudo-Justin impersonation (both dancing and singing) all. year. long. There is not one song on this album that will make you feel bad. From the R&B-infused opener “Pusher Lover Girl” to the slow-burning closer of “Blue Ocean Floor,” I was all about this long-player. In a time where we want everything fast and hate when something demands our attention for longer than a few minutes, JT asked you to sit for longer than an hour to listen to radio jams that lasted almost 9 minutes. It was a bold comeback, and that confidence in the music as well as the confidence of the lyrics (“I heard you tell your girl friend you could do better/well, I’m the best ever”) made this album my pump-up soundtrack any time I needed confidence. The National’s new album got me in all my feels this year. I went through a lot of transitions and growing up this year, and The National was there for all of it. 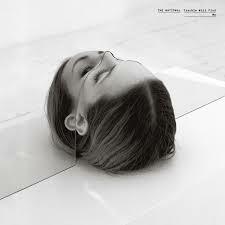 “If I stay here, trouble will find me,” Berninger acknowledges on the title track. I wasn’t in any particular trouble this year, but I knew there were things, people, or even just thoughts I needed to get away from. Trouble Will Find Me is an album about recognizing that where you are may not be destructive at the moment, but staying put might be your downfall. “I need somewhere to be,” Berninger notes, “but I can’t get around the river in front of me.” In the end, you get the feeling that to grow into the person you are supposed to become, it’s not going around the river that is going to help; it’s through. On the cusp of those defining moments, The National provides the perfect backdrop for feelings of fear and insecurity just before taking the next step. I hate to not surprise anyone, but Yeezy did it again. When this album came out, I did not expect it to be #1 on my list for most of the year. It’s abrasive, sometimes unpleasant to listen to, and in general not for mixed company. But over time, the ideas and the music got into my system and I could not get them out. At the height of his musical creativity and in a moment where America loves to hate him (like most moments), Kanye embraced the idea of himself as a villain (“the monster about to come alive again,” he warns on the opener) and made us all think about our place in this world and who’s on top of us. 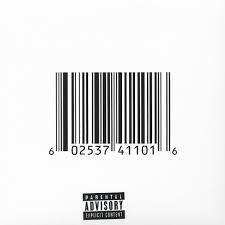 On “New Slaves,” he makes an uncomfortable sermon about how we are all enslaved to materialism, racism, corporations, and societal standards in general. We have come to accept too many things as okay in our culture, and while we reject Kanye as unacceptable, he asks us to consider what should really be unacceptable: a man who believes that he is made in God’s image despite the fact that he’s only “doing 1% of what God wants me to do right now” or a culture where people hate themselves so much that they cut musicians down who they have never even bothered to really listen to. When Kanye calls himself a god, or calls himself Yeezus, we call it blasphemy and write him off. Meanwhile he explains over and over again that he’s not saying he is the equivalent of Jesus, but spent too many years pretending he wasn’t made in the image of God, wasting time drowning in self-loathing and other people’s negative opinions of him. Instead of rejecting his sermon, perhaps it’s time we hear it for what it’s worth, take the good parts out, and leave the rest. Kanye made the album quickly, writing many of the lyrics in less than an hour, as a way of showing us that for all of its imperfections there is some truth to saying what’s on your mind and expressing your frustration with the world in both right and wrong ways. Yeezus is an album about the state of affairs in America in 2013. Its brilliance lies it in its imperfections; even if it’s not all right, at least Kanye is trying to tell the truth, or even just search for it. As I fail over and over again at being an adult and a teacher, Yeezus was a message I needed this year. I am mostly wrong about everything, definitely imperfect, but I am still made in God’s image. We all need to pay less attention to what other people think of us and more attention to how we can keep reaching up and beyond ourselves. What albums are on your list? I’m looking forward to what 2014 has to offer, but I’m pretty sure this guy will have the best album: https://soundcloud.com/therealbenshady/stoplights.